The 2018 Good Government Awards, held on March 21, recognized outstanding job performance of those serving the City and County of San Francisco. Jesus Mora, Chief Information Officer of the San Francisco Fire Department, was recognized for leadership that improved the delivery of the city’s emergency response systems. Despite his challenging workload as head of the Fire Department’s IT division, Jesus has contributed to a number of high-profile projects that have impacted not only the Fire Department but other city agencies. Many of his initiatives are the product of his ability to work seamlessly with a variety of agencies, including both uniformed and civilian personnel. Jesus has increased the tools available to first responders en route to and on the site of fires and medical emergencies, as well as the city’s ability to track and model service delivery, all while enhancing the department’s administrative infrastructure and reducing costs. 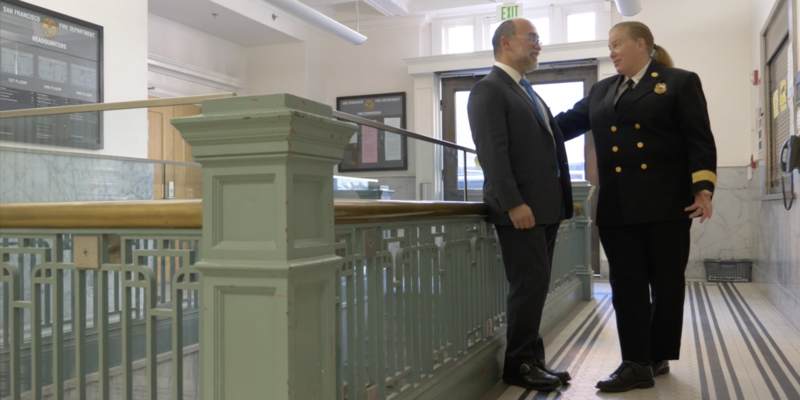 2018 Good Government Awards: Jesus Mora from SPUR on Vimeo.